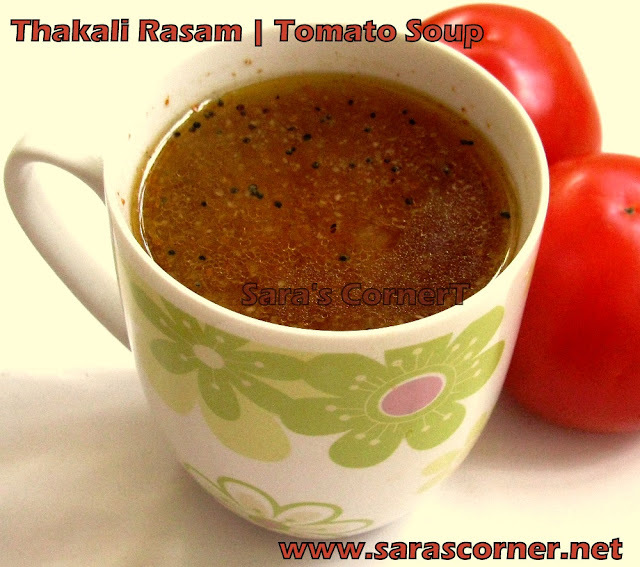 Thakali Rasam is a soothing rasam when you are down with cold and cough. This doesn't have dal, so you can drink as soup or mix with rice. In a blender, put chopped tomatoes, garlic, jeera, pepper, dry red chilli and curry leaves. Grind it to fine paste. Add little water if required. Once the raw smell is gone. off the stove and season it with above ingredients. Thakali Rasam / Tomato Soup is ready to serve. Enjoy hot or warm. Notes - If you dont wish to season, you can skip the step and garnish with fresh coriander leaves. You can also deseed and remove skin of tomato if you wish. 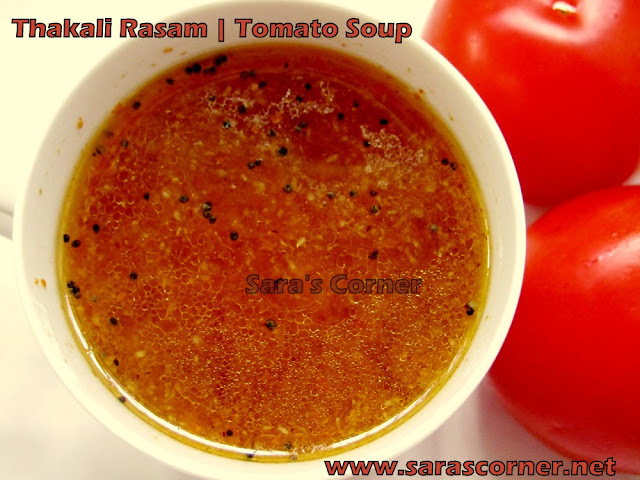 Yummy rasam, really i enjoy this as we make every often in our house. Can have it as a soup, yumm..
perfect for this climate...nice colour! Simple and spicy - beautiful mix! I have seen that you have posted a question in Google Adsense Help forum regarding mobile ads on your blog. Here is the link for the article to setup adsense mobile ads on blogger blog.